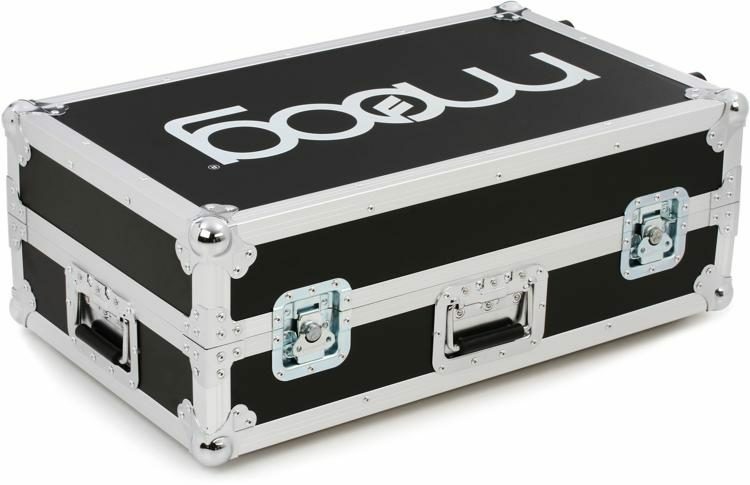 Moog Music Forum • View topic - Grandmother Road case/gig bag? Re: Grandmother Road case/gig bag? I have a bag that came with my MS20 mini, it might fit. will try it out! ummagumma wrote: I have a bag that came with my MS20 mini, it might fit. will try it out! And the answer is... what? I ordered the Sub37/Lil Phatty gig bag for my Grandmother. The bag is a little too big so I placed the bottom half of the protective foam from the original box into the bag. With that small adjustment the bag is now pretty snug and offers a little more protection to boot! I just received my Grandmother today and I'm really hoping Moog will release the ATA Road case like they did for the Sub 37... planning on serious gigging with this! swannod wrote: I ordered the Sub37/Lil Phatty gig bag for my Grandmother. The bag is a little too big so I placed the bottom half of the protective foam from the original box into the bag. With that small adjustment the bag is now pretty snug and offers a little more protection to boot! The Gator G-LCD-TOTE-SMX2 (Bag for two LCD Screens) should work. Inner dimensions are 23.5 x 15.55 x 6 inches. Price is 160 $ or 109 Euro. Update: I just bought it an it fits really well as if it was made for the gm, no crafting needed. I just got this one (as suggested in an above post), and it fits as if it had been designed for the GM. Looks good. Would you say that it offers the same protection as the case for the Sub 37 does? Kirneh Ness wrote: Looks good. Would you say that it offers the same protection as the case for the Sub 37 does? I'm about to find out, as I just ordered one to provide some protection to transport the GM to an upcoming show.